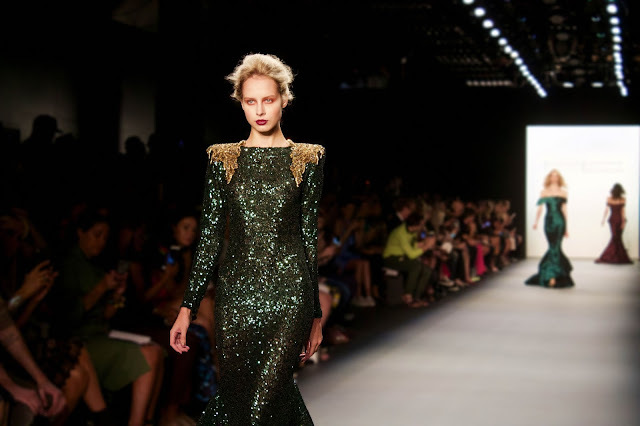 Michael Costello's collections are always a joy to see saunter down the runway each season. They're always this overwhelming sense of beauty and luxury that envelopes the designs that transports you to the luxe inspirations they come from. 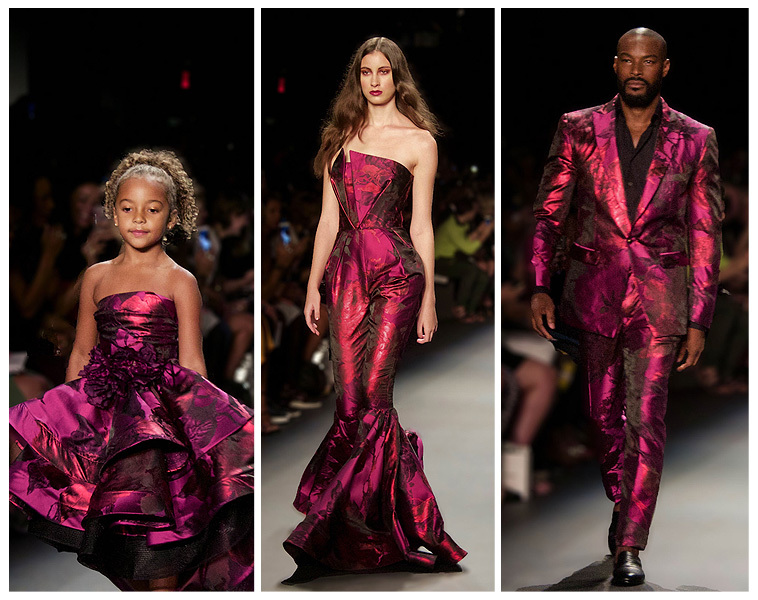 The colors were rich and bold demanding your attention as the models strut past. The silhouettes were grand statement pieces perfect for any romantic rendezvous! This season brings you to a luxurious midnight soiree in a beautiful botanical garden. Gowns are flowing with color and voluminous pieces are ruffling across the landscape. Glimmers of light reflect off beads and metallics. The architecture of the garments are evocative of flowers blooming. The natural beauty of a flower resembles that of a woman. Delicate. Radiant. Beautiful.